Susan Rosenberg Jones: Building 1 looks at some of the tenants in a rapidly changing Tribeca apartment building (PHOTOS). Malcah Zeldis, an artist, moved into the building in 1975. 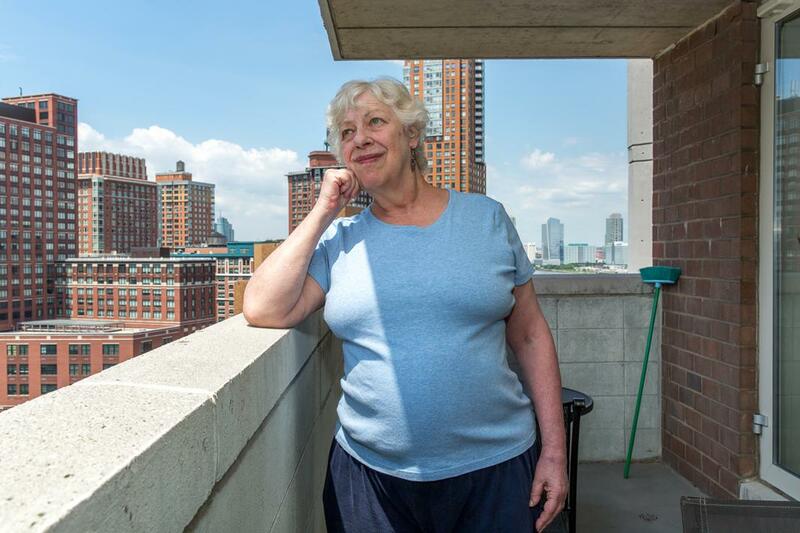 In 1984, when Susan Rosenberg Jones moved into a one-bedroom New York City apartment in Tribeca, her rent was roughly $700 a month. Usually, that line is great at cocktail parties, with a mention of either having been fortunate to find a great deal or a melancholic reminder that things have vastly changed. In this case, it’s a bit of both. Rosenberg Jones is currently living in a two-bedroom apartment in the same building, part of three high-rise towers called Independence Plaza North. Built in the 1970s and intended for luxury rentals, the complex was ushered into the Mitchell-Lama program since few people were willing to live in Tribeca at the time. 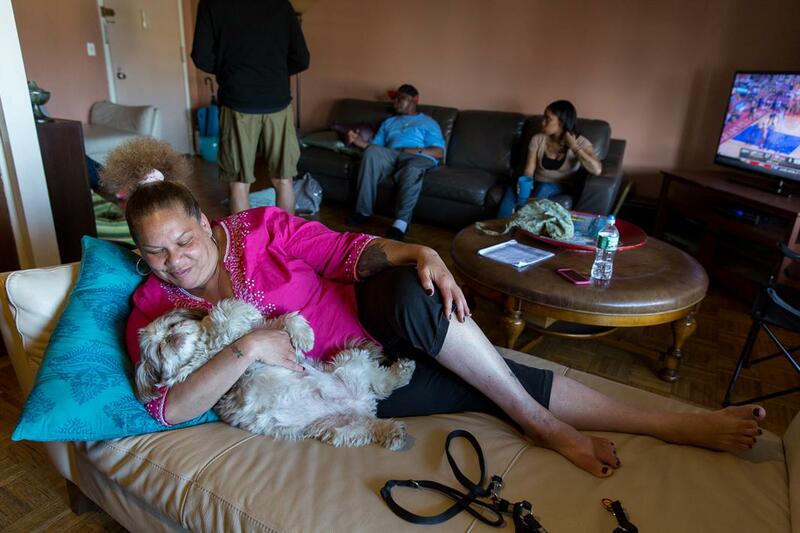 Mitchell-Lama was created to provide affordable housing for middle-income residents (by today’s guidelines the annual adjusted income limit for a household of two in a non-federally assisted and federally-assisted cooperative development is $85,937.50). As a result, many were artists, writers, teachers, and other working class New Yorkers. In 2004, the program ended, the building was sold, and the subsidies were removed, allowing the owners to begin renting the apartments—after quick renovations—at current market value. That means while Rosenberg Jones continues to pay around $1,600 for her unit, her new neighbors are paying upward of four or five times that amount. 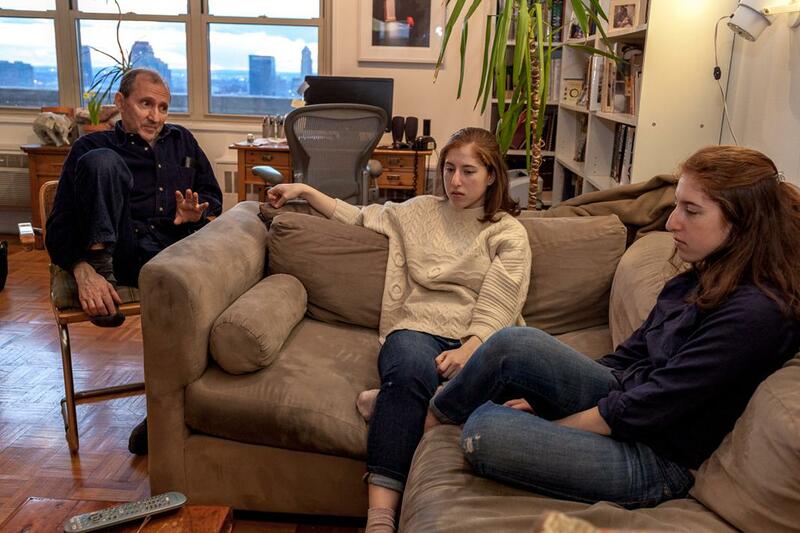 Although there aren’t separate entrances just yet, the pre-2004 tenants know that Tribeca is no longer a neighborhood for the middle class; many fear being forced out of the homes where they have lived for decades. 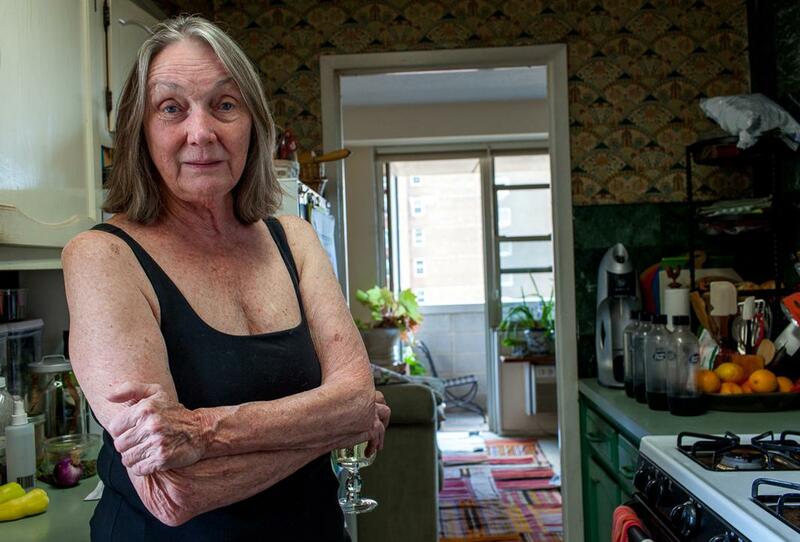 Genie Miller (her mother Ellen lives in a separate apartment in the building and is pictured below), retired, worked as a VP of union contracts. Moved in 1976. Manny Toonkel, an artist, moved into the building in 1981. 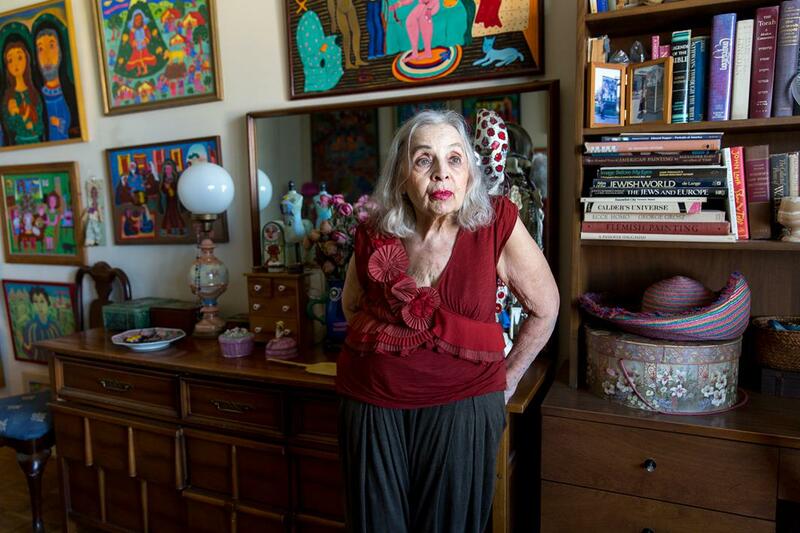 Estelle Woldin, a retired actress and dancer, moved into the building in 1976. Nathan Weber, a retired researcher, writer, and editor, moved into the building in 1985. Pictured with his daughters Vanessa and Rebecca (both girls have since moved out). 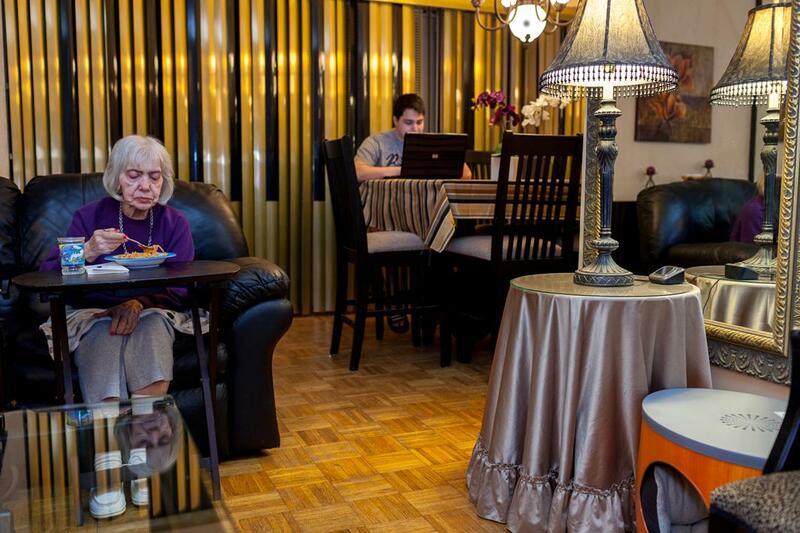 Rosenberg Jones began photographing the “original” tenants in the spring of 2011 for a series titled “Building 1,” with the idea of showing the diversity of the residents who live there and their individuality as seen through their apartments. Although many of the apartments are cookie-cutter: same parquet floor, same popcorn ceiling, same linoleum, Rosenberg Jones said entering the apartments has been fascinating, an almost anti-New York experience where people often live inches from one another but always keep a distance. Anita King, a retired director of the New York City Department of Buildings, moved into the complex in 1978. Vinette Leo, a retired bookkeeper, moved into th building in 1976. She said conversation often turns to what they’ve done to the place and what things were like in the early days. Rosenberg Jones said she is good at reading people and getting to know the essence of who they are. Still, working on the project has allowed her to hone her craft of environmental portraiture even further. For now, although she thought about including some of the newer tenants in the series, Rosenberg Jones is happy to concentrate on the older guard since the story is really about them and the newer tenants are usually transient. 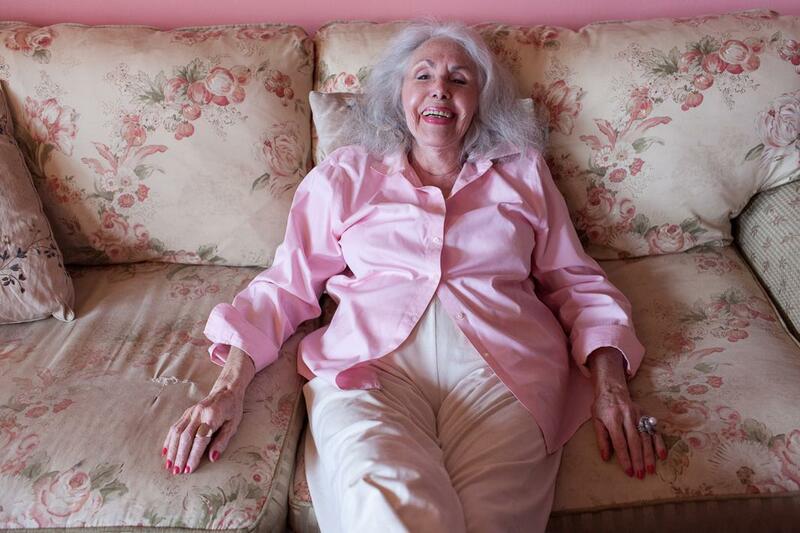 Ellen Miler, retired, worked for a law firm and also as an actor, moved into the building in 1955. Grandmother and grandson Josephine and Joseph Albanese (she has since passed away). 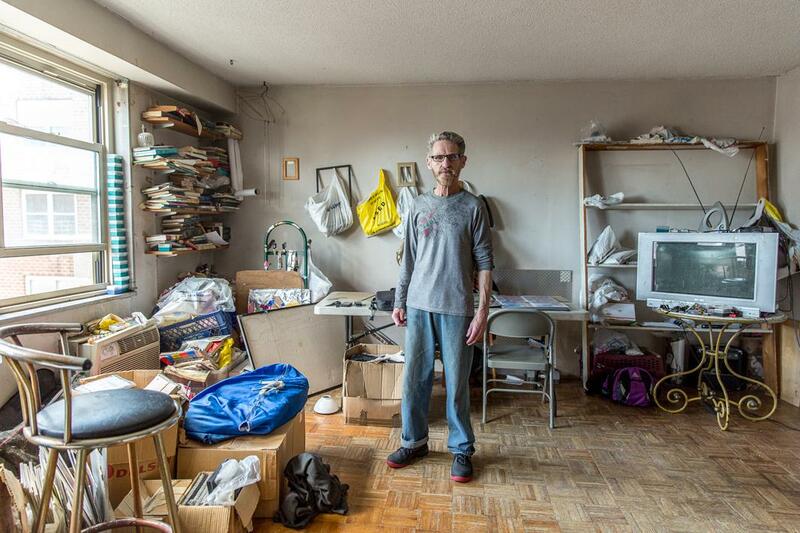 Joseph, a college student, and his parents moved into the building in 1985. 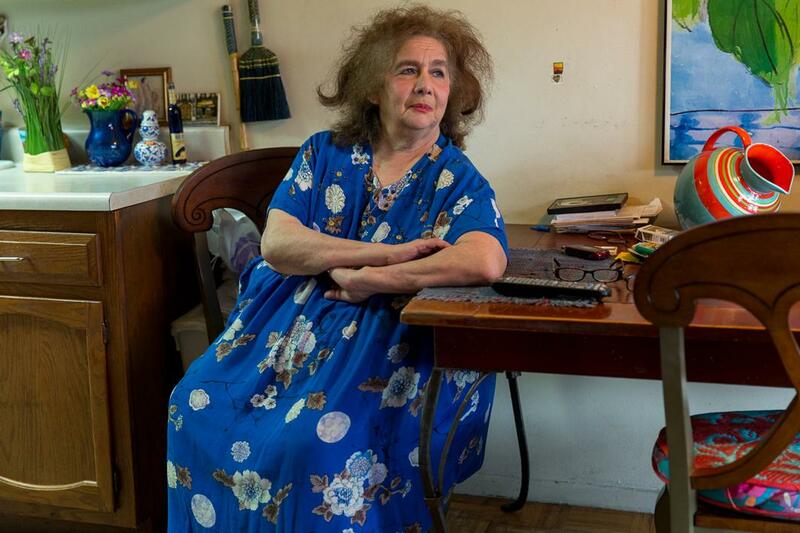 Ella Biondi, a retired vocational art teacher, moved into the building in 1976.